against the skyglow of Pamplona. My guiding, as usual, not the best there is. with the RC8 at native focal length and the ASI1600MCC at -15ºC. Ah, and I also used the IDAS LPV4 filter to suppress the light polution. I hope to be able to get under darks skies sometime! because of it's low surface brightness?? Tips and/or tricks welcome to get this target well exposed! Edited by Mert, 25 March 2019 - 04:25 PM. First suggestion is to remove the light pollution filter. 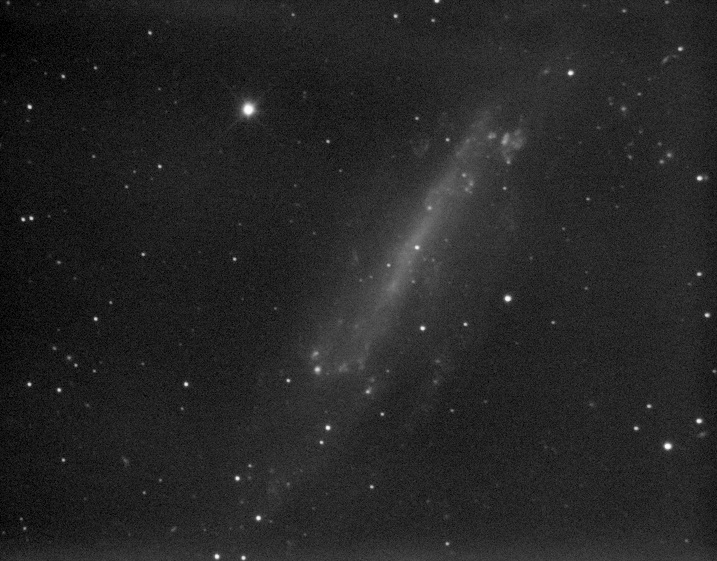 It's not doing you much good on a galaxy, and it's blocking a significant amount of data, extending both subexposure times and total imaging time. ABE or (requires more skill) DBE, can reduce the effective light pollution well, and, unlike LP filters, they work just as well on galaxies. Did you do one or both of those? Then, you likely could do 90 X 90", and still get increased signal. Next, consider a reducer. Your image scale is about 1.0 arc sec squared per pixel. A 0.8X reducer would move that to about 1.2. Your skies would have to be awfully steady for 1.0 to be noticeably better, and you could get more signal, lower exposure, and get better signal to noise ratio, while not having any serious loss of resolution. That image suffers mostly from poor signal to noise ratio, so that's where you should concentrate your efforts. Did you do flats, darks, and dark flats? Edited by bobzeq25, 25 March 2019 - 04:52 PM. For just over 2 hours of integration, that is a fairly decent image, IMHO . I think you are correct; since it is a low-surface-brightness object, viewed obliquely from Earth, it doesn't seem to attract very much attention from AP folks. DBE (I use DBE rather than ABE, if possible) WILL work wonders with LP; I use it on every image since I deal with moderate or worse LP all the time. It isn't hard to learn, just takes practice (and more practice, and then........more practice). Also, make as many runs with DBE as it takes to remove the gradients. I thought of getting a good LP filter, but decided to just get good at DBE, instead. I've got some N4236 subs (10x480s lums) from a mono Orion G3, taken almost 2 years ago when I had only 6 months AP experience, that I will work up in PI, with and without DBE, and put up for you to compare with yours (the image WILL NOT be anywhere as good as yours), to give you an idea what you should be able to get with your gear without a LP filter. Edited by twidget, 25 March 2019 - 09:00 PM. It isn't very apparent from the auto-stretched JPEGs, but the LP which is present in the 1st stacked image is gone in the DBE'ed stack image (though the dark current and flat-correctable glow that was not removed due to lack of those cal frames is still there but lessened). Also, no noise reduction in any of the JPEGs. The point is, without using your LP filter, but with the use of DBE (or ABE) in PI, you should be able to obtain a MUCH brighter image than the one you posted at the top of the thread, with the eqpt you used. The G3 is actually a pretty decent little starter cam (approx. 0.5 megapixels), but nowhere near the quality or ability of the ASI1600. So, as bobzeq25 suggested above, try it without the filter, and use ABE or DBE in your processing instead. You'll be surprised . I hope this helped, and I eagerly await your next N4236 image, sir !! Edited by twidget, 25 March 2019 - 10:41 PM. Wow, a lot of useful response here, first thanks to all!! fight light polution, facing straight towards Pamplona city lights. so great, however it produces a very nice black background. For targets without much Halfa not so good. out by the greyish looking sky. as you said 90 x 90"
and also Neutralize Backgeound and so on. the image among quit some other tools. Your images seem to have more signal, do you image from a dark site?? When looking to the sky from my balcony it alsmost loos like my flat panel! A bit darker but grey! without Moon or Footbalstadium lights. Again, thanks for your input, much apreciated!! Edited by Mert, 26 March 2019 - 12:56 PM. My apologies, I assumed (incorrectly) that you might not be using ABE/DBE. No, I do not image from a dark site. I shoot from my back yard, with houses on all sides of me no more than 100'-200' (30-60 meters) away, 4 streetlights within that same area, only 1/2 mile (0.8 km) from the downtown district in a town of 45,000 people. My LP is sometimes horrendous, usually bright enough to read the headlines of a newspaper. (9-10 on the Lorenz scale, where 13 is the worst). And, being in town, I often have to deal with heat-island clouds. So I'm no stranger to LP. 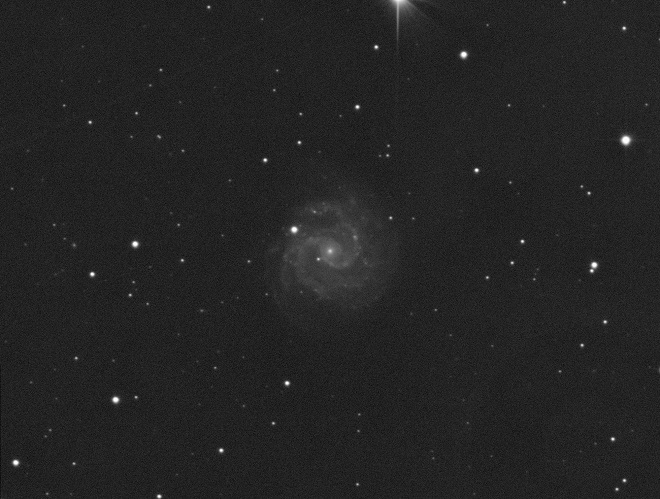 Those images I put up were taken with an Orion G3, a mono CCD camera with large 8.6um x 8.3um pixels, so it yields much higher SNR for a given exposure length than my 1600 does (at least I think that is why). 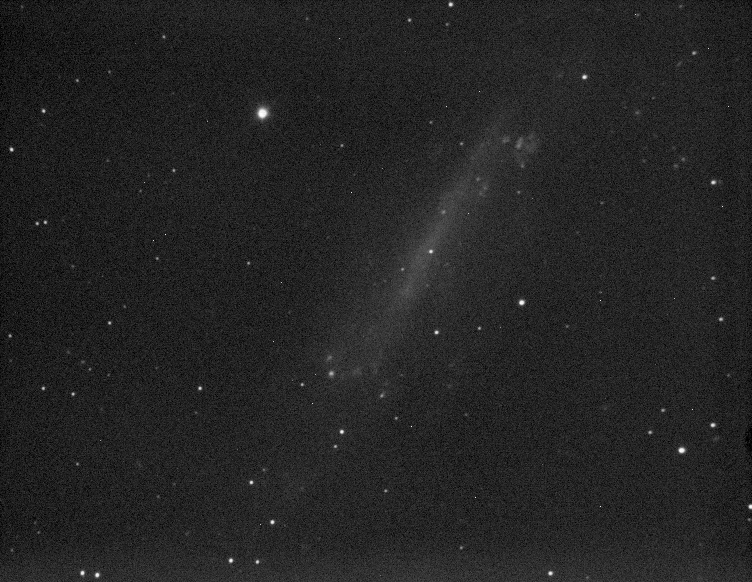 N3246 is on my springtime 1600 target list, so I will be able to directly compare to the G3 images. I use a ZWO luminance filter (I think it is the same as UV-IR) with the 1600, but I don't believe I used any filter with the G3 for the images above. Edited by twidget, 26 March 2019 - 02:39 PM. Thanks Mike, I still see I get much less signal with my 1600! block filter and shooting 2 x 2 binned at 60 seconds. some of the glaxy, not near anything like your single frame! Oh well, things are much worse then with the light polution filter! Now I capture hardly anything else then skyglow! to the mountain far away from the city lights! 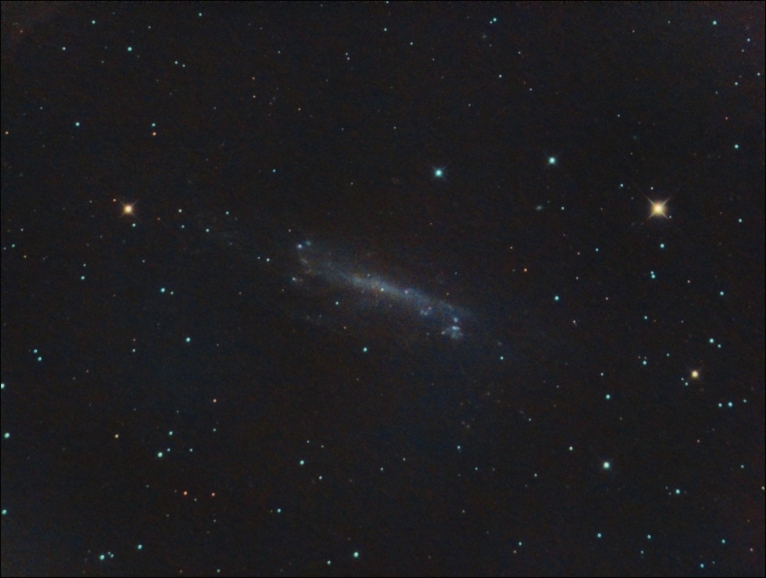 Here's a couple of JPEGs of NGC3184, a mag 9.8, 22.7 surface brightness, galaxy (similar mag to N4236) from 12Feb2019, shot with my 1600, 120s lum, gain 200, UV-IR (luminance) filter. Both are untouched (raw). This is a face-on fuzzy. 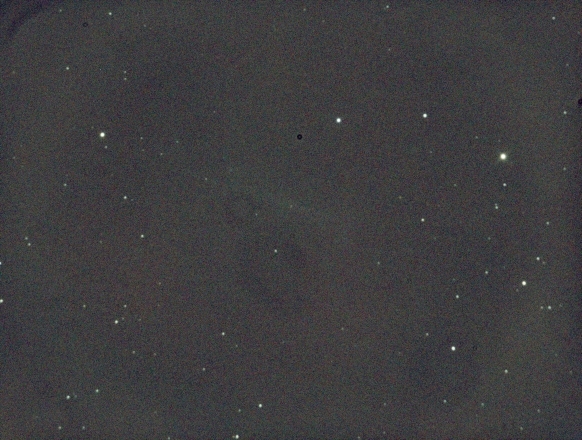 As you can see, even at 120s it is quite dim, and the LP in the sub is bright (except where the vignetting reduced it). Edited by twidget, 26 March 2019 - 04:36 PM. 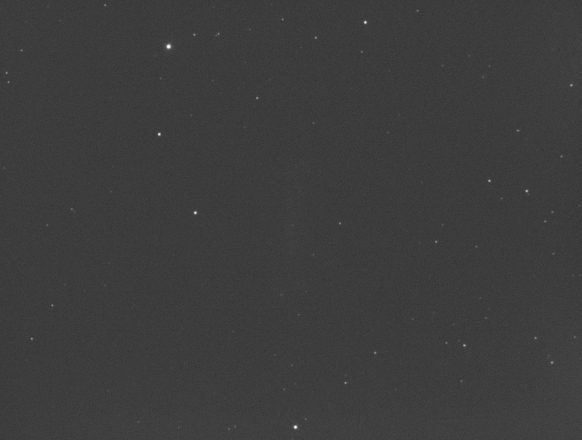 Here is a JPEG of the stacked image (30x120s), PI autostretched, subs fully preprocessed, image cropped, and 5 passes of DBE. Nothing else done to it. 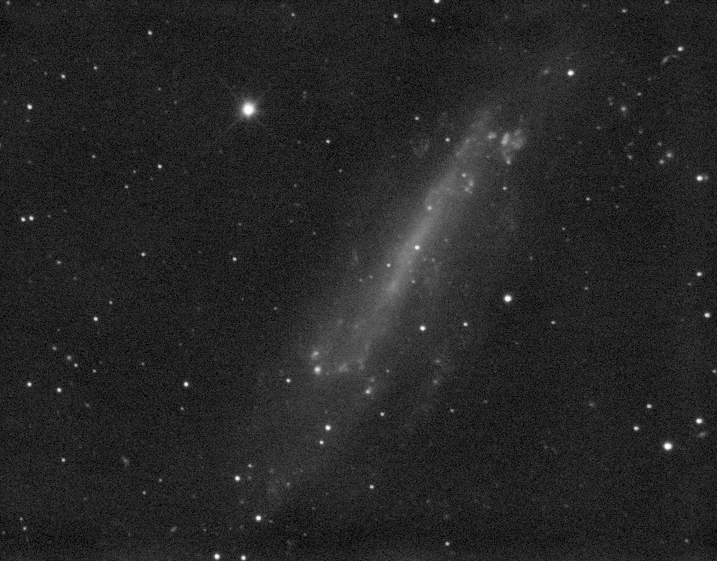 Your N4236 image from this session should be of similar brightness (unless being from OSC cam makes a difference), since you will integrate 2 hours (of 60s subs), and I integrated 1 hour (of 120s subs). Hi Mike, yes you are right, mine is a OSC!! what I can make out of that crap. Yes, "nice" LP ! Good luck on the processing, Mert! 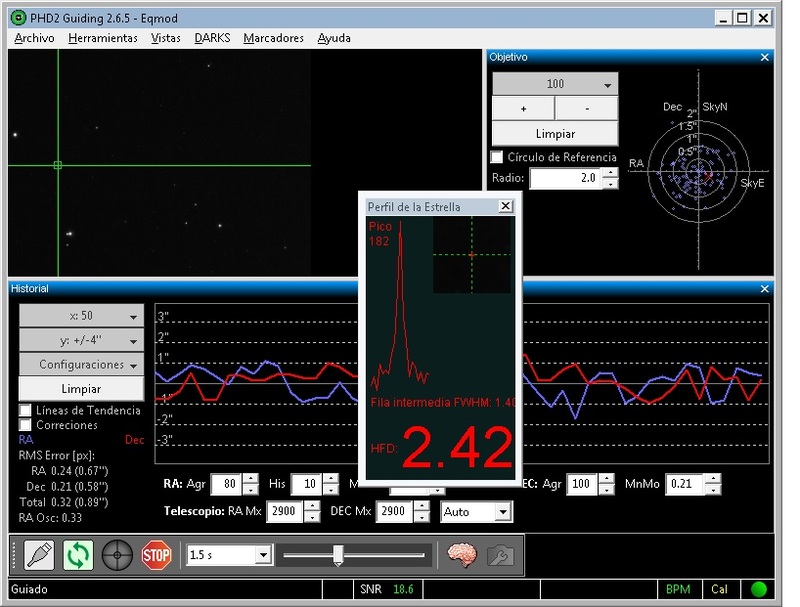 If you can measure your light pollution with this method, people can help better. A very interesting article but it is written for DSLR I'm afraid. I have a spreadsheet where I can try to measure what I've got,. Maybe you need a darker flat panel? Edited by twidget, 27 March 2019 - 10:04 AM. Also helpful for folks to assist you would be your other settings, such as OSC gain and offset. To me, your description of the LP reminds me of the HTS (high thin s*** - stuff-, aka cirrus clouds) that I have move in probably 60% of the time on otherwise good shooting nights, after midnight. Edited by twidget, 27 March 2019 - 10:16 AM. there are no clouds, but more like a milky whitish blue. indicating a huge amount of water vapor if I'm not mistaking. will try to get focussing better under control. I like to observe jet aircraft contrails in the hours before dark.....if the contrails are short, that indicates a relatively low amount of water vapor at the jets' altitude (6-10 km, maybe). If the sky is full of long contrails, you will most likely be dealing with worse LP and poor transparency during the imaging session. Hope you have better luck tonight. My night last night started out with so-so seeing and good transparency with decent tracking, and progressed to great seeing and below-average transparency with great tracking by the time I quit at 4am (when the last-quarter moon was about 30 deg above the horizon and messing up the subs). Best seeing I've had since early December. Edited by twidget, 27 March 2019 - 02:17 PM. arms. ( once loaded into Pix, background subtracted and Screentransferred ). Let's get some 30 or 60 frames. filter gives and the IDAS LPV4. IMHO the IDAS does way better job here on my balcony. +- 15 degrees or alike. 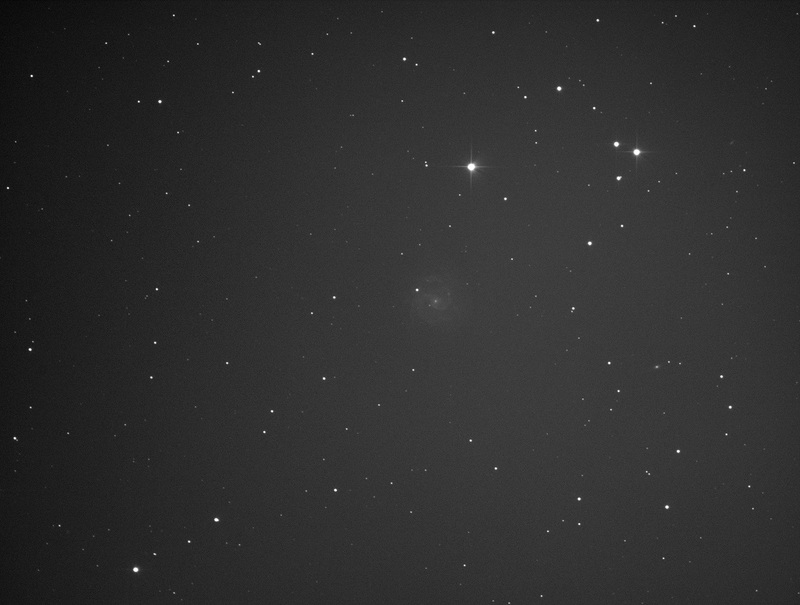 That's a good sign, to be able to see that on M109, in a single frame. What gain setting are you using? Yes, the comparison subs for N4236 is a good idea. "Ouch" on the narrow balcony FOV Time for a trip to the mountain??? Edited by twidget, 27 March 2019 - 03:47 PM. I'll post tomorrow, I just took a couple of frames on NGC4236 as well. what I can get out of that! are the default values from the Ascom driver. Also took Flats, I already have a Dark and Bias library. This time I went for 120 seconds per frame. Both are just screentransfer streched, nothing more.